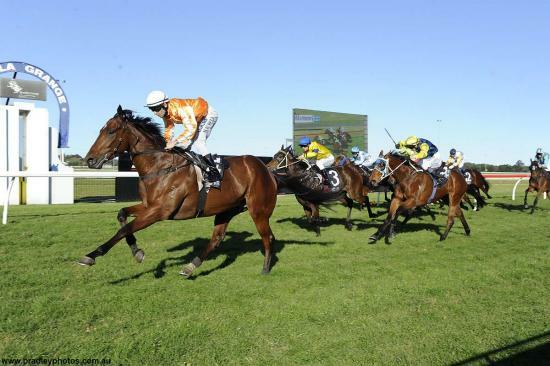 Ron Quinton Racing :: Imanui wins at Kembla Grange! Imanui wins at Kembla Grange! I am pleased to share with you all that Imanui had an exciting win as it was unexpected for him to win over 1200 meters. A big congratulations to our owners. Thank you to Bradley Photos for capturing the win.